262. 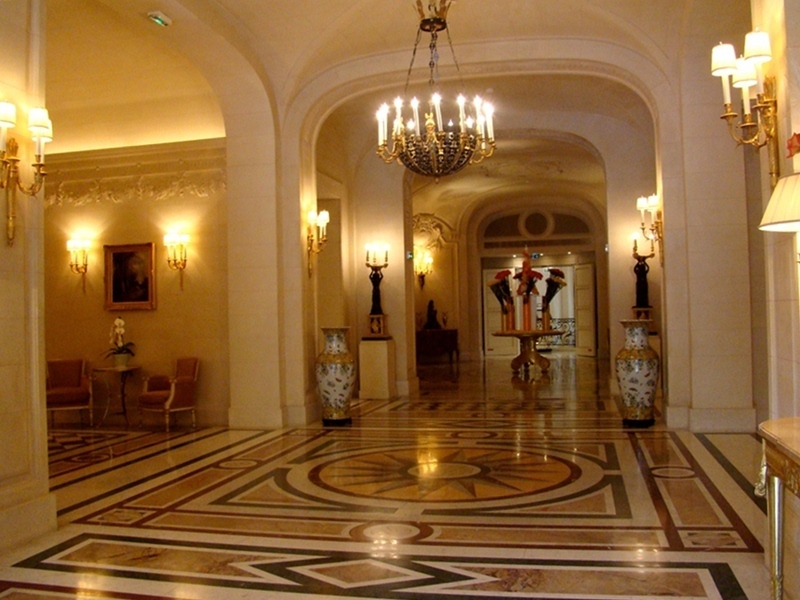 La Bauhinia | Shangri-La Hotel, Paris | LEFTBANKED. 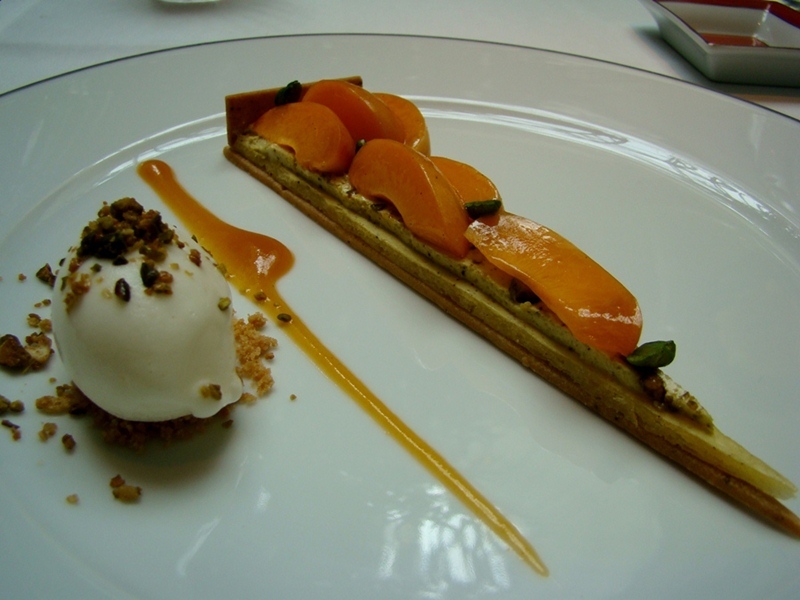 On my second last day in Paris, I went for lunch at La Bauhinia; one of the three restaurants inside the Shangri-La Hotel. My visit to the hotel left quite a lasting impression, and I must say this meal was my favourite of the entire trip. 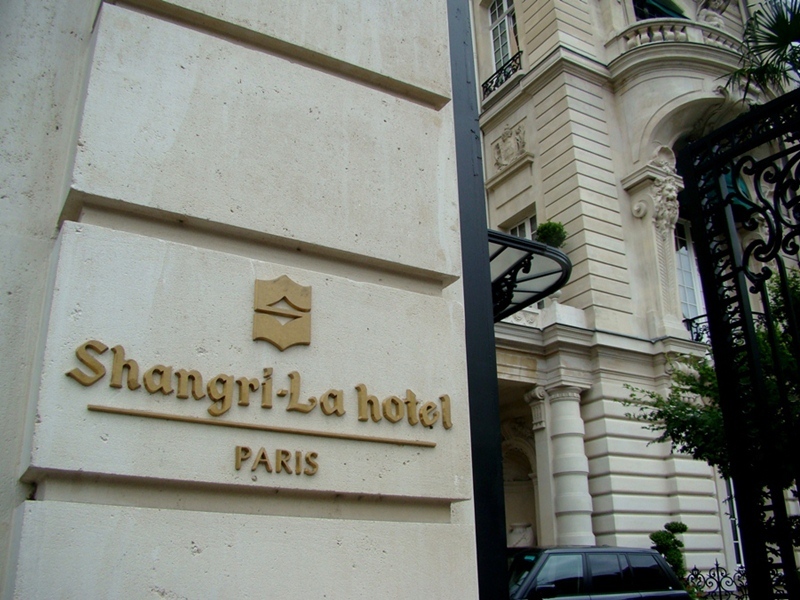 In addition to an excellent three-course meal, I was very happy to be dining at one of my favourite hotel chains - the Shangri-La - especially their location in Paris, housed in a building of great historic significance. They were fully booked when I was there, but I'd love to stay here on a future trip to Paris. 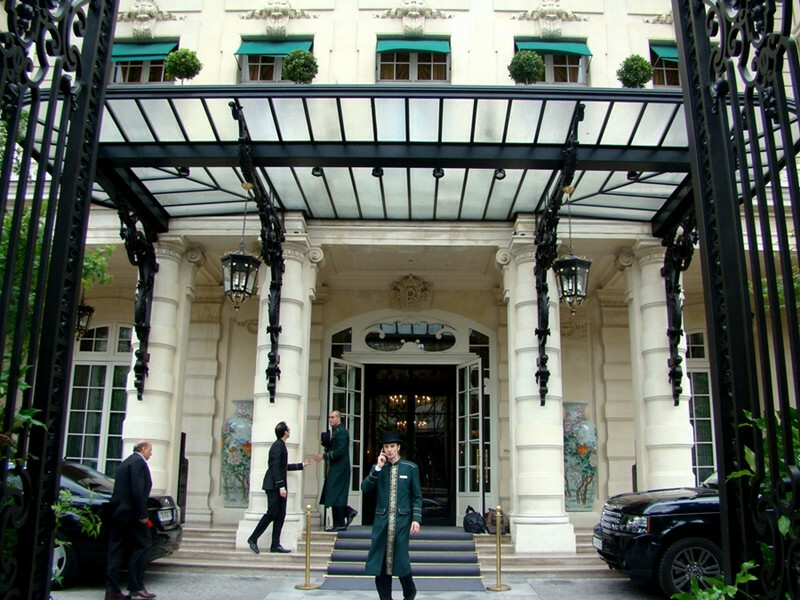 The hotel is located at one of the best areas; in the 16th arrondissement within distance of Trocadero and across the Seine from the Eiffel Tower. Most of the rooms/suites have AMAZING views! Perfect for a romantic getaway in Paris. I was welcomed by very friendly and courteous staff as I walked into the lobby. It was so beautiful I remember the first thought that popped in my head was: "wow!!" It was originally built in 1896 as the home of Prince Roland Bonaparte; the grand nephew of Napoleon. Years and years later, Shangri-La acquired the building and spent four years to renovate and restore it. They ensured that the integrity of the original home was preserved. The hotel officially opened its doors in December 2010, becoming the first Shangri-La hotel of Europe. 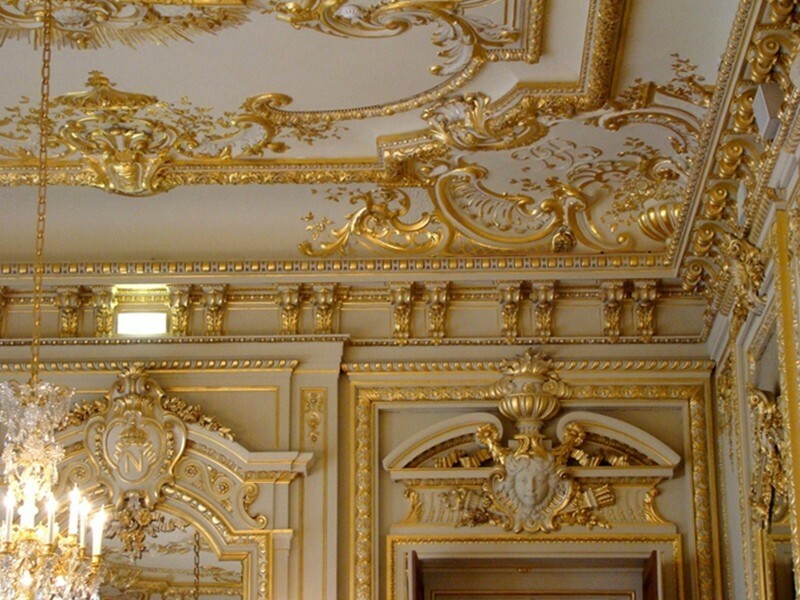 The lavish interiors are reminiscent of the Bonaparte family. If you observe closely you can see their imperial insignias and ornate monograms incorporated into the details. 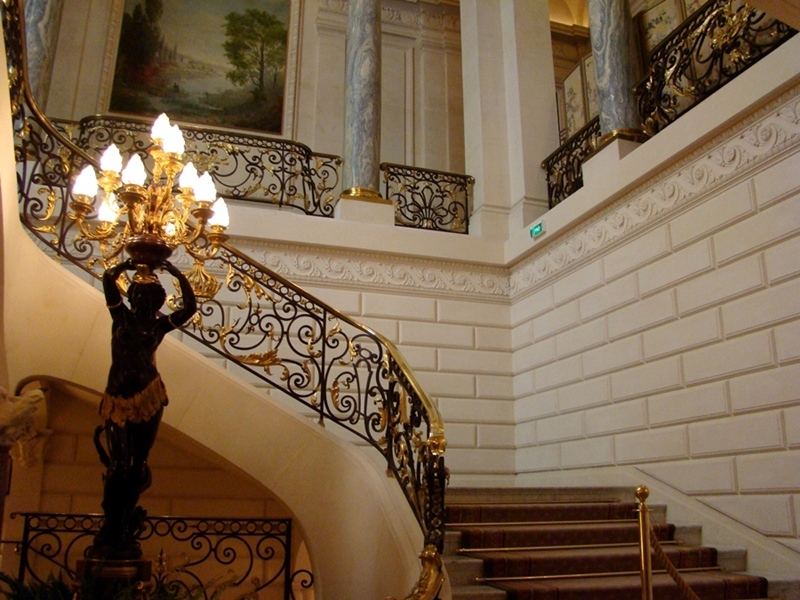 Located at the far end of the lobby, past this stunning staircase, you will find La Bauhinia. Decorated in Bordeaux reds and jade tones, the restaurant is directly underneath a glass cupola. This let in lots of natural lighting which, combined with music from a baby grand piano, created a perfect atmosphere for my lunch. The executive chef is Philippe Labbé (aka Cuisinier of the Year in 2013 by Gault Millau!). 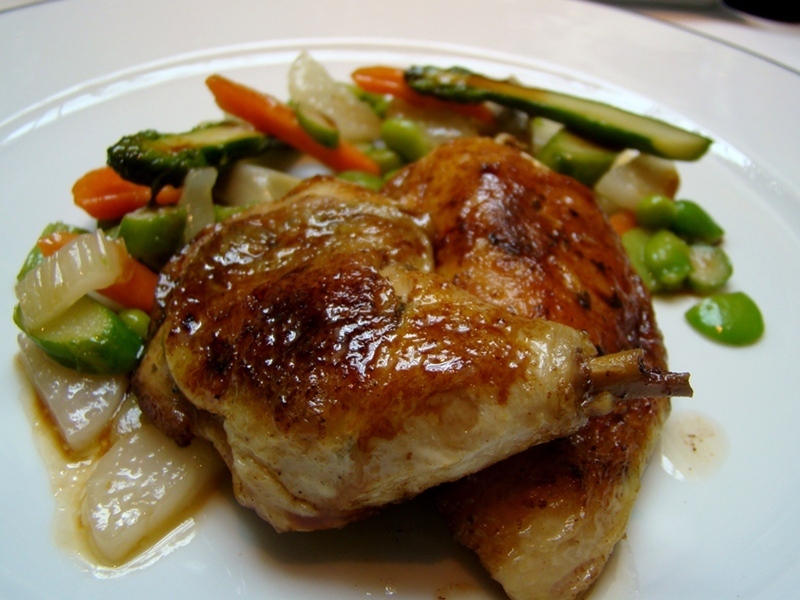 The menu consists of both South East Asian and French cuisines. I love French food and seeing as I was in Paris after all, I went for the French dishes. 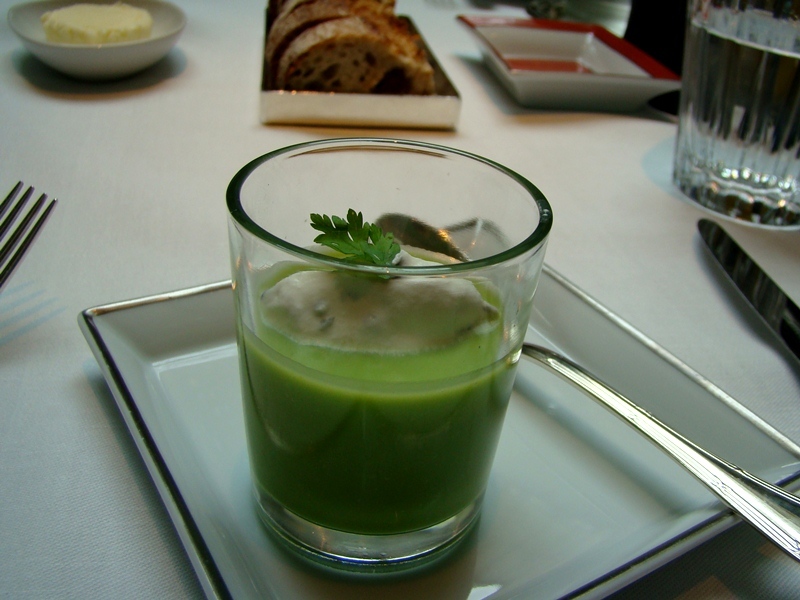 I started off with this amuse-bouche. I regret to admit I do not remember what it was exactly, but I do remember it being absolutely delicious. THE FOOD: Here's what I ordered. A very satisfying meal. Everything was well-prepared, well-presented, and tasted very fresh. I regret not writing this review sooner as none of what I ordered can be found on the menu anymore (I was here one month ago). I am not sure how often their menu changes but you can view what they currently serve here. 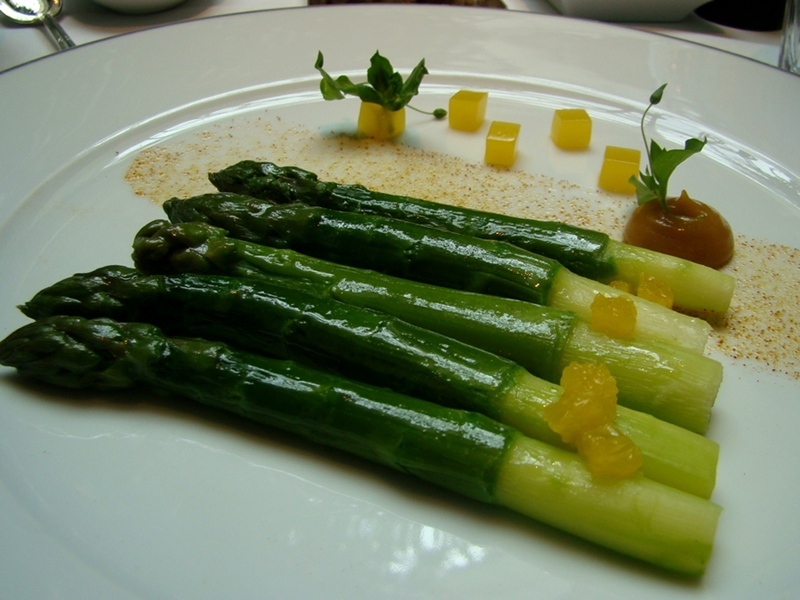 THE SERVICE: As you can usually expect with any upscale restaurant, the service was excellent. The servers were very friendly, attentive, efficient and knowledgeable about the menu. The food also arrived very quickly, with the waitress explaining every dish as they came. BEST FOR: Breakfast, lunch, afternoon tea, business meal, an anniversary, etc. Although I didn't get a chance to have dinner here, I think this place is better during the day (when it's bright thanks to the glass ceiling). If I was to have dinner at the hotel, I think L'Abeille would have a better evening atmosphere. A bit on the pricey side, it would be difficult to spend less than €100 ($130) per person on a three-course meal; wine, tax, and tip excluded. Here are a few photos I took during the small tour I got after lunch. 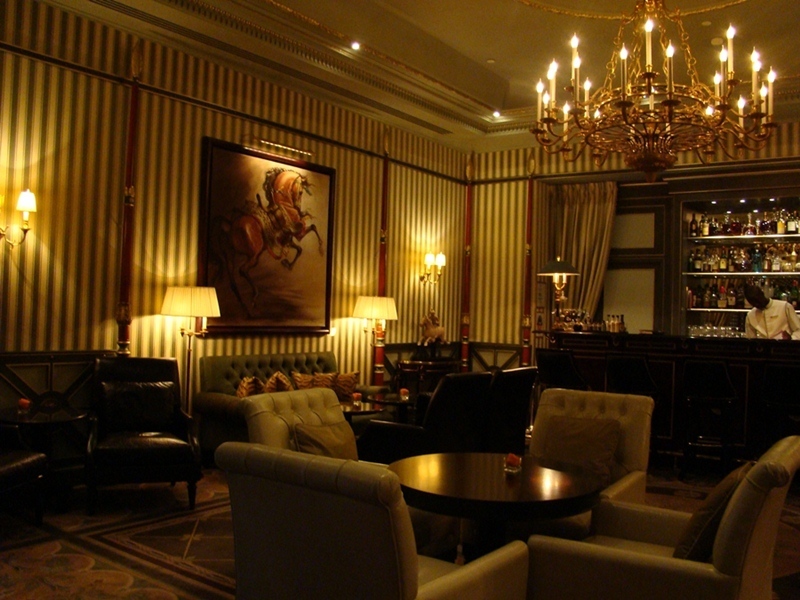 Le Bar; cozy and elegant. I LOVED the horse paintings. 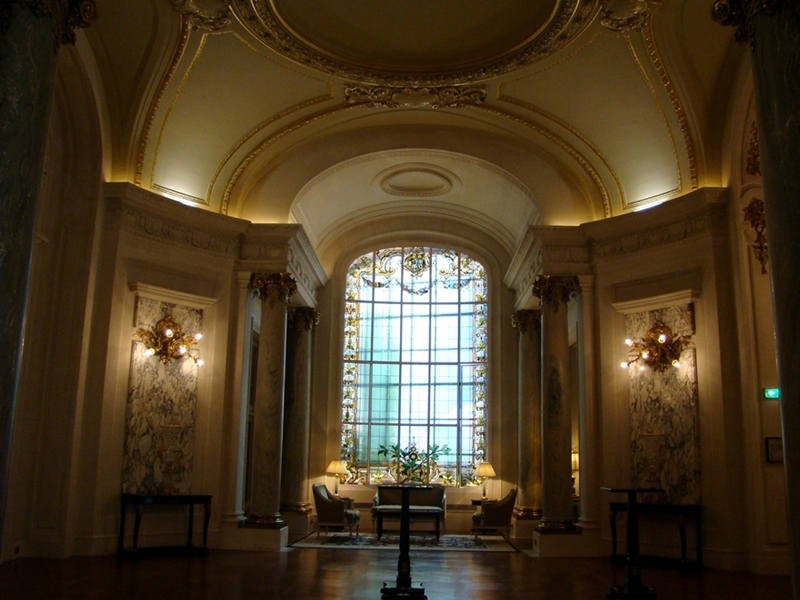 Walking around the salons/ballrooms, I felt like I was touring a grand palace like Versailles. Following you now :) Hope you follow back. Thanks for sharing these gorgeous pics! It looks like a royal palace.. This place is amazing! Thank you for your comment! Of course we can follow each other! Now I follow you with google friend connect and bloglovin! Hope you'll do the same! I wait for you in my blog! Kisses! Amazing photos, you are making the rest of us very jealous!! The hotel looks so beautiful and the food just looks heavenly. How I wish I have a chance to visit this place in the future!! Wow this looks like such a great place, the food looks really really delicious! Just Stunning! :) I Love Paris! I´ll be back again, I´m sure! Ahh who wouldnt indulge if theyre travelling ?! Food looks great and the hotel itself is so pretty! One of my favorite restaurant in Paris! I live in the 16ème arrondissement and I pass every day in front of this amazing place. Delicious food and lovely atmosphere. Kristina recently posted.. Detox your body!. this hotel and your menu seem to be fantastic! a big kiss dear Tiffany! Absolutely stunning Tiffany! I bet that dessert was every bit of amazing! That place look amazing-1 the food looks great but I love the hotel! What a stunning place, there's nothing like a privileged life! The hotel looks absolutely amazing, I bet it's expensive as well haha! Great photos! Looks like an awesome place to stay at! The hotel looks amazing! I'm very impressed! Thank you so much for commenting on my blog! Also, there's a chiffon tangerine dress giveaway at my blog, it's so stylish, I think it would suit you perfectly! Thank you for commenting on my blog, yes, we can follow each other! I'm following you now. Thanks so much for your comment :) I love your blog too, it's so glamorous! I'm following you now too! Thank u so much for stopping in my blog giving ,e the possibility to follow yours...... You have an AMAZING blog, I 'm your newst follower!! so many great photos, hope you've got a great time ! Just followed you (it shows up as Jimmy, my cat, instead of Nicole) Thanks for the sweet comment! You were one of the first to comment on my new blog that was not a personal friend of mine :) As you could see, I am really JUST starting. I would love to follow each other. Also, love your blog. I wish I could take my dog with me on trips to Europe! Sadly, at 70lbs she is too big to travel with :( But your puppy is adorable!!! I am now following you! This is the most gorgeous hotel I have ever seen in my entire life. Everything is so elegant and glamorous, and the food!!! What a beautiful hotel!! I want to go back to paris now hihi. Amazing place, so luxurious and chic! I've just discovered your blog :) I'm following! wow. 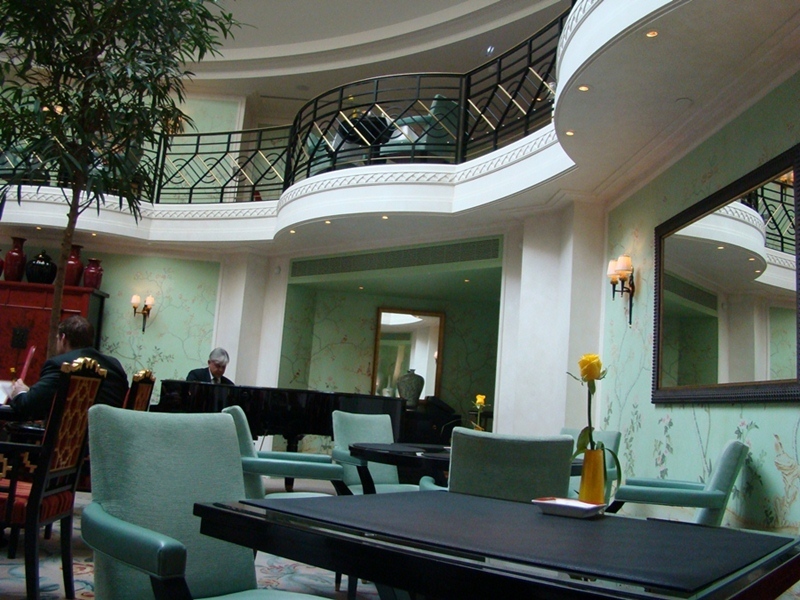 such a grand hotel,,The food looks yum and decor so luxurious! Thanks for the review! Hope you are having a wonderful day! What a beautiful hotel! The food looks so delicious. 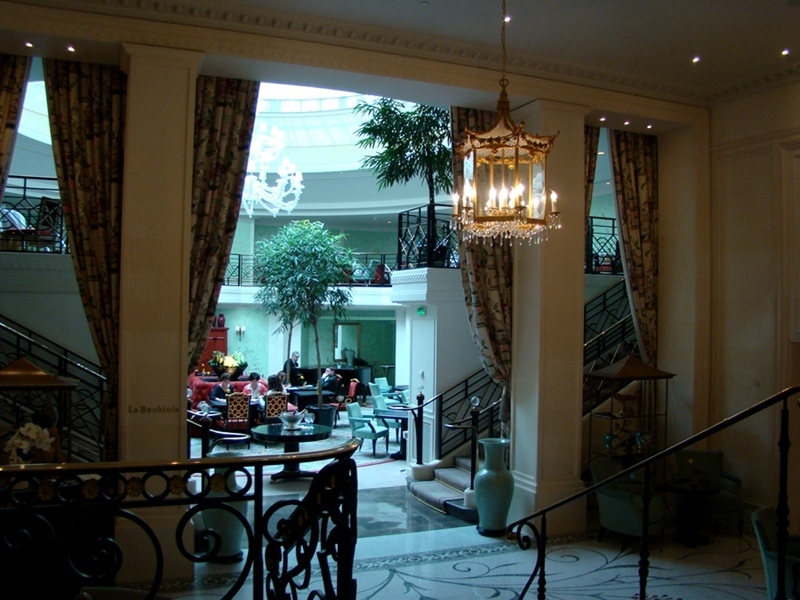 Paris is my city, so i know this hotel. Love your pictures, they are so nice. I am following you now, follow me back? Paris!? I am VERY jealous! these pictures look amazing and I am doing to go! Paris is really too beautiful! And so is this hotel, simply amazing & very impressive! The food looks incredible! Have I told you how jealous I am of your travels? Following you now dear, hope you'll visit me again sometime. woww so chic!! maybe the Ritz's predecessor, now that it is closing for 2 years! Wow! It's such a beautiful hotel and the food looks delicious! Hope you had a perfect time in Paris! Wow what a beautiful hotel, stunning photos! This is one of my favourite places in Paris. So happy you enjoyed it!